The dishwasher is one of the appliances that homeowners rely on most. It can be tempting to keep using the dishwasher even if it’s not running quite right. How do you know when you need a new dishwasher to replace your old one? 1The water doesn’t get hot. You can see if your dishwasher’s heating coil is working by opening the dishwasher immediately after washing. If your dishes don’t feel warm after being washed, it may be a sign that the heating coil has been broken or damaged. It is possible to replace only the heating mechanism, but it may be less expensive to replace the dishwasher itself. 2The dishwasher does not drain. 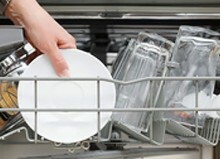 If water at the bottom of the dishwasher doesn’t drain, it may indicate that the drain is cracked, crumbled or damaged. Improper drainage may cause damage to your floors. 3The bottom of the dishwasher is rusted. A dishwasher that shows signs of rust needs to be replaced. Rust on the bottom of the dishwasher is an indication of leaked water collecting on the bottom. You can check for rust by sweeping underneath the dishwasher for rust flakes. 4The dishwasher’s shell is cracked. The dishwasher’s inner shell keeps soap and water inside the appliance. If the shell is cracked, water and soap may leak and cause damage to the unit’s mechanical parts. 5The door latch doesn’t secure properly. The dishwasher will not run if the door does not properly latch closed. If the unit is warped, it needs to be replaced. For more information on getting a new dishwasher and replacing your old one, or dishwasher repairs, please contact us. 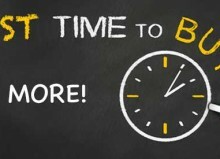 How to Get the Best Deal on Kitchen Appliances Kenmore Refrigerator or Frigidaire Refrigerator? Which is Better?